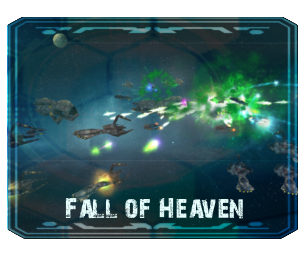 Sins of the Fallen is a massive enhancement for the critically acclaimed Sins of a Solar Empire. What version of Sins of a Solar Empire is supported? Sins of the Fallen is a modification for Diplomacy and Rebellion. How do you install Sins of the Fallen? Please read How to install Sins of the Fallen. Why does your mod have so many folders? As Sins of a Solar Empire is a 32bit game it is restricted to 2GB of ram utilization as well as other various hard coded limitations. The stacking structure used with this mod allows more than 2GB of content by allowing portions of the mod to be loaded. Will you support Entrenchment or Vanilla? No, I did have previous versions that supported Entrenchment (See Release History), but have decided the it was too much effort for one person to try and maintain both. Zombie i hope you can downloaded my stuff from dropbox, and a question: what are you doing then with the model? Considering I can't do anything with the Maya format... I'm doing nothing with the model. After that all I can promise is I'll evaluate the model to see if it might fit in the mod. If I think it might fit then I would have to evaluate if the mod is technically viable for Sins (i.e. can be converted without errors to the Sins format). It's a long process. Export from maya to fbx and XSI/max can open it. It will need some cleanup more than likely. ok and we make i this? Hi ! I'm back ! This mod is the best ! I have a problem with Moon, although I research weapon, the moon don't attack. Second problem, whatever the faction i choose, i can't construct orbital cannon, he say limit reached, but the IA can construct cannon. How i can resolve the second problem fastly if you know, please? Sorry, I won't be able to use the model. It's not compatible with sins of a solar empire (too many polygons). I've noticed something similar... I need to first change the missile particle used. It's way to small to be seen coming out of the moon. I'll check if there are weapon points too (this is a problem with save games). Do you have 4 planets? 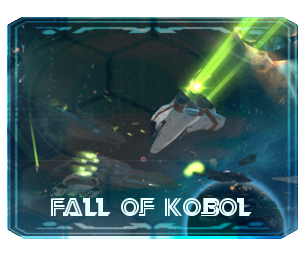 Rebellion forces you to have atleast 4 planets before a super weapon can be built. I did get a french translation for the vanilla game and included it in the mod. I need to clean up my bing translated part for the mod though (somehow special characters got inserted). Hey have been wondering awhile about the Nephelin Titan, what would you plan on using? would the engineers Spaceship be possible? Effectively, i don't have 4 planets when i tried to build cannon. It would be cool, doesn't appear the Juggernaut has been made by anyone. I did some research and a lot of the Nephilim cooks on the Net think that's what the Engineers are from Prometheus. What I've decided to do is fix on the mesh errors in the last model I received from EternalRequiem (Probably some issue exporting from w/e he modeled in to the wavefront format). I'd like to keep the general look and feel consistent so this will be a plus. I'm about half way through adding the missing polygons back in and then will have to texture it up. At this point I'm fairly confident it will be the Titan. I did also say that the model was upside down but since it's in your hands you can judge which is right side up or not and I recall saying that the model was the highest poly model I've done yet so far. Haven't touched modeling in months and I'm still considered an amateur compared to a lot of the awesome model makers roaming these forums and being a part of mod teams. Hmmm... odd and those areas are part of the sunken in parts of the ship that I made to give the ship more detail correct? Question/suggestion: Would it be possible to add a colonizing effect onto the Nephilim cannon? Each cannon shot would flood the area with culture and/or colonize it if it's a free to colonize planet. For concept, you can inject the idea of "transferring Nephilim life energies" into the planet's denizens. Notice: I have written this after a very bad day at work, so I apologise in advance for lack of order and the wall of text. It might be a good idea to place the installation instructions outside of the folder SotF Core Reb.QA. The download archive would seem to be a better place. That way you would have it visible after unpacking. At the moment unless you know that it is in SotF Core Reb.QA you are in for a lenghty search. Faction/Race overview: While you have posted quite some interesting stuff here and on ModDB, it is still somewhat lacking. Especially a general overview about racial/factional strengths and weaknesses. For example it is very hard to tell what is the - intended difference - between Rogue Traders and Rogue Syndicate. Similar with Hypercorp and Psicorp. Or the Colonial/Cylon Rebels/Loyalists. - TEC Loyalist: Strengths: Good defense and late game eco, very durable Titan. Weaknesses: Titan lacks firepower, weak on the offensive. Preffered strategy: Provoke enemy into wasting his ships on your fortified worlds. - TEC Rebels: Strengths: Good offense, Titan can 1o1 any other Titan. Weaknesses: Weaker defense, Titan not as good in sustained combat. Preffered strategy: Offensive... offensive... offensive.. and never look back. enabledModName "SotF Planets SinsPlus Reb.QA"
enabledModName "SotF Addon Artifacts Reb.QA"
enabledModName "SotF Addon Disable Superweapons Reb.QA"
enabledModName "SotF Race Advent Reb.QA"
enabledModName "SotF Race Hypercorp Reb.QA"
enabledModName "SotF Race Nephilim Reb.QA"
enabledModName "SotF Race Tec Reb.QA"
enabledModName "SotF Race Vasari Reb.QA"
enabledModName "SotF Race Rogue Reb.QA"
enabledModName "SotF Core Flagship Reb.QA"
NOTICE: I integrated SOTF and SOTF Fall of Kobol in my mods folder.... so your checksum may vary, even if the BSG related stuff is not activated at the moment. Getting a random flagship at the start of the game is certainly a cool features, but it does have some possible balancing issues: Depending on what flagship you get, you might be at a disadvantage compared to the same race getting a "better" capitalship. Other than being slightly more durable and having more firepower, there isnt anything that makes the flagship special. Maybe I was just unlucky, but it seems that you can only get Vanilla Capitalships as Flagships.... at least I never got a Vera Class Flagship. IDK if it is possible to have faction specific flagships? For example, TEC Rebels get Marza, TEC Loyalists get Kol. Advent: The new capitalship is very cool. And with portable Mass Dissorientation and Power Surge its is quite powerful. And the phase missile block tech does WONDERS in the Vasari VS Advent matchup. Hypercorp: Havent played them much, still unsure what defines Psicorp. Titans feel underwhelming compared to the juggernauts of other races. Trade Port = Culture Center.... meaning you and the AI can and will spam them like there is no tomorow. Not only you will earn a huge amount of money, but you will seriously press your enemy into building a significant amount of counter culture centers. Having a Nephilim next to my already besieged empire quickly becomes problematic.... because that relative insignificant attack that cost you one culture center on the other side of your empire quickly causes red lines everywhere. Lines you have to spend considerable logistics to push back again. Good defense - Having Shield Bestowal on the puny and cheap turret helps a lot to keep your important structures alive. Starbase is nothing to sneeze at either. "Hostile forces have arrived" - I have an halfway upgraded Orky... that is more than enough to deal with 3 cap ships and a bit of support, isnt it? Our starbase has been destroyed.... WHAT? Or what about mopping up that few lousy planetary defenders with my Titan supported fleet? "Our Titan has been defeated!" Half my fleet lost and those damm few ships are still in comparable good shape. Enough... time for merciless focus fire..... DIE...... DIE.... "One of our capitalships has been lost"..... Mine not his ... come on.. DIE... One of our capitalships has been lost... I HATE YOU! but the cruisers should finish the job, just 800 HP left.... --> cruisers die..... enemy ship is still alive. --> RAGEQUIT! Of course after a few battles you retreat in time/bring enough firepower with you.... but the surprise effect is indeed notable. The combined hull and shield restoring abilities make it a major pain to kill any of the capitalships, unless you have vastly superior firepower. Add a mid level Coronata and the Nephilim ROFLstomp most things with only minor losses. Add an immensivly powerful culture attack and you often really cant afford a second front line, without loosing half your empire to the Nephilim in no time. Any and all Nephilim incursions needs the large majority of your military to push back.... unhealthy when you are under attack from another enemy. Suggestions: It might be a good idea to tune down their eco a bit.... considering their vastly powerful military and their slot saving due to not having culture centers. Rogue Trader: YARR! Please allow me to congratulate you on the HILARIOUS research descriptions. I laughed a lot when reading them. 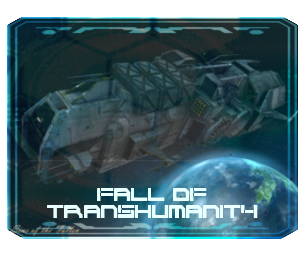 The race is rather tricky to learn and to play, the population loss from not maxed out logistics does notable slow down early game as you are rather soon forced to build lots of logistical structures to avoid falling behind economically against other colonizing empires. On the other hand, the powerful Arcardia colony capship is quite capable of dealing with most militias on its own. The Rogue Raider is a very powerful non capital colony ship and can put a swift end to fledging hostile settlements or militias, especially if fielded in numbers. Having a few of those attacking multiple planets of the enemy at the same time can be very devastating. One the one hand, you need some serious firepower to take them down on the other hand they bomb planets into oblivion quite quickly. With the early available speed upgrade, catching them can be difficult, too. I am glad that I did not have to face them used by a human enemy yet. They have only one drawback, the focus planet bombing above everything else. So unless you repeatedly give them attack orders, they wont fire on the important enemy ships until the planet is dead. Maybe they should focus on ships first and then go to planet bombing? And please consider giving them the pirate voiceover.... the TEC colony frigate is not up to the job^^. Awesome model! First time I saw a enemy one I was like... WTF. That is of course just a question of personal opinion... but please consider exchanging the Ragnarov Gaus Bolts with the Arcardia Gaus Bolts. They look much better imho. Also to make it more different from the Ragnarov.... the Guns should fire in sync... like on the Arcardias. (All 3 guns fire at the same time.... than are silent... then fire again and NOT the one by one fire of the Ragnarov. Ohh.. and please increase their projectile speed to that of the Arcardias. Asteroid Defense - what a nice idea! Obviously it lacks a graphic representation, which is sad. Although I do of course realize, implementing such a thing may be very difficult. Maybe the ability should be redesigned to an offensive one? Funnel rockets. Funny... but they seem to be rather ineffective? Ultimate reflexive aura..... I am unsure.... does it have a graphical effect on the ship? The Pirate ships: While very fun, having no shields makes them more of a liability than a help. Especially in late game. The Rogue Raider, although being a colony ship, seems to be more effective in battle, due to having shields, multiple banks and bombing capability. Research tree: The Rogues research tree causes confusion when you firstly play that race. Things you would expect in "civil" are in "military" and vice versa. After getting used to it, it is perfectly fine though. Capital Ships: I really like that you have to take a disadvantage when choosing and advantage for many of your capitalships. Rogue Syndicate Titan: The Mini Novalith is hilarious. The ship however seems to be rather easily overwhelmed, besides having tremendous firepower. Thanks for the great feedback. I'm still digesting some of this and will give an appropriate reply with comments when I'm able. I have the same problem with the vanilla factions. Other than one or two researches the main different between the factions is some flavor text, their relationship penalties and Titan. I probably shouldn't have bothered even making a Rebel/Loyalist split. 1) It would have been less work. 2) The factions are already pretty much split that way naturally across all 3 mods. 3) I'm not really a "good" writer of lore. What I did have was an idea for different Titans for the factions and wanted to keep in line with Rebellion Theme at the time. Nephilim and Plague won't be getting split up though. It's weighted to give a colony capital ship first, then a battleship, carrier or siege. Support ships or other "special" capital ships are not possible. I found it not fun getting a support capital ship as my flagship. It's possible, but generally people seem to like the random aspect to this. I almost didn't port this to rebellion because of the new flagship victory option, but people seem to like it so I ported over. Thanks, I'm happy people like them. I wasn't sure how well they would be liked. It's one thing the AI does seem to actually do. They earn less trade income per port though (1/2 of a normal port). Advent loyalists are pretty devastating too with Rebellion and more so with the DLC. If the AI is spamming culture you pretty much have to park a capital ship in the gravity well nearby. I'll look at their balance again. They are meant to be a tough faction to go up against (Higher supply but more Durable). That was fun to put together when I was collecting research on pirates in general. This is a Sins hard coded thing. This is a good idea. I'll do it. Thanks, I hadn't considered that. Agreed, particle effects aren't really my forte' at this point. It would be cool to have them actually rotating the structure, which I do know how to do now. Low on the totem pole but it might happen. I understand, but I wanted it to be like they were hiring the pirate ships versus building them with features they don't normally have. Thanks, that was fun to put together. I think it was on par with the Ragnarov, but I'll look at the stats again. I didn't want it real tanky because it's a giant target in space. i like artifact vessels but i'd like more, i'd like to try to add one. can you help me by telling me the file I must change? If i replace name of files of my new ship to alienbattleship, it works well. yupa59, you would have to add the extra entity files to the entity.manifest, and add the entity's to the relevent playerRACE.entity and do NOT forget to adjust the counts in the manifest and playerRACE.entity.